Director and writer Simon Blake’s first feature Still starring Aidan Gillen, Jon Slinger, Elodie Yung and Amanda Mealing opened in the UK in 2015 at The Regent Street Cinema London and in Ireland at The Irish Film Institute. 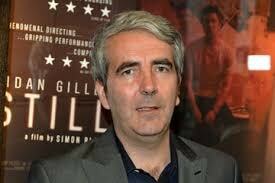 It won Best First International Feature at the Galway Film Fleadh in 2014 and Simon also won Best Director at The London Independent Film Festival 2015. It was Nominated for The Roger Ebert Award for Outstanding debut at the Chicago Film Festival 2014, The Heinrich Award for New Directors at The Braunschweig Film Festival 2015 and The Regle Du Jeu Heartbeat Award at The Dinard Film Festival in 2015. Sight & Sound’s review read “An impressively accomplished first feature, intensely controlled and notable for its fine performances Blake draws from his cast”, The Irish Times “Blake demonstrates a sharp eye for constructing attractive off centre images and a gift for teasing out strong performances.” and “Simon Blake’s gritty surprisingly poignant thriller… the cast is uniformly strong across the board and Blake gives each of his major players a stellar showcase” from the Chicago Film Festival 6 Films to remember. Based on his stage play Lazarus Man, Still stars Aidan Gillen as Tom Carver, a man stumbling blindly towards a crossroads in his life, thrown out of focus by the death of his teenage son a year earlier in a car accident. He becomes involved in a feud with a teenage gang after a seemingly harmless collision with a young kid. This feud becomes gradually more disturbing and horrifying as Carver’s life starts to unravel until its painful and shattering climax. He has also made a number of short films including Love In Vain, The Show, Lovejuggling and Awayday which won Best Short and Best Screenplay at The Valencia Film Festival. Chosen by The British Council in its Best of British tour, Awayday has screened at more than 50 film festivals worldwide. Simon also wrote and co-produced the feature film Heaven’s Only Daughter for the independent film maker Philip Harder. Simon started directing in theatre with The Common Eight Theatre Company and then founded and was Artistic Director of Changeinspeak, performing at venues such as The Young Vic and BAC. Described by Time Out as having “A deserved reputation for developing a unique style of theatre, a dynamic fusion of music, narrative and the visual” and his work as “Brave and Remarkable” by The Independent. They produced ten original plays written and directed by Simon and also a version of Shakespeare’s The Tempest at The BAC.